Last updated 03 January 2019 . By Katie Houghton. Instead of pints down the pub? We tried our hands at something a little less familiar: pottery. I believe that couples who clay together, stay together; so in ditching my husband for my best friend, I headed on over to one of London's only speed pottery classes to see why the event is selling out on DesignMyNight week after week... after week. Paddy Hartley may be an artist whose portfolio is home to bigger-than-big names, but his studio is charmed and underrated. Tucked quietly away in the Dental Institute of King's College, this little gnasher of a space may only have been big enough for the three of us, but its walls were lovingly draped in a previous exploration of pots alongside blue-tacked inspiration and unfathomable designs, all straight from the wheel. We were here to throw three bowls, each one different from the next... and not just in end result. While the first throw was guided by Paddy and his clear expertise (from finger formation to getting.those.elbows.down), the second was a fun 5-minute throw to hair metal that, surprisingly, wasn't half bad at all. The third? Well, that was another attempt entirely. Encouraging you to use muscle memory and tricks taught on the day, we had five minutes to throw with our eyes closed. The result? A dip-worthy, tsatziki-friendly, home-to-hummus bowl of all things. Was I surprised to find that of three throws my friend and I both ended up with three complete bowls? Both yes and no. While I don't doubt that our jabbing and taunting of one another didn't help, Paddy knows how to inject both fun and clay competency into the lesson, meaning that even the two of us could turn out something solid. I can't recommend this class enough. No, it's not immersive cinema, and no, it's not a pop-up for the ages, but this is an experience that promises you'll have something take home; something more than just a bowl. As for Paddy? He's a teacher that aware, involved and silly yet decisive in equal measure. Let's be honest, anyone handling a brash Croydoner alongside Manchester's finest is lionhearted to say the least. Fancy taking to the wheel? 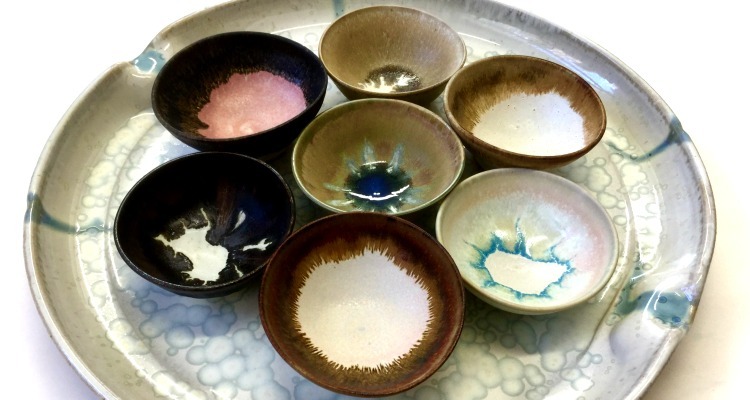 Buy your tickets for Adult Speed Pottery with Paddy Hartley here.